Faculty of Wildlands Studies programs come from around the world, and hold either a PhD or MS degree, with many years of experience in research and environmental sciences. Our hiring practice for instructors adheres to that of Western Washington University and meets the hiring requirements for faculty teaching upper-division coursework. Many of Wildlands Studies faculty are college professors who direct field study work, others are researchers who want to help broaden students' exposure to wildlife and environmental issues. All are concerned about the impact of development and growth on our natural environment. Our instructors are backcountry field guides as well as academicians, and are certified in first aid and CPR. Many of our project staff hold a Wilderness First Responder certification as well. All projects have a minimum of two Wildlands Studies staff members, and often three or four. There is always a lead Instructor, often a second instructor or a logistics coordinator, and/or a teaching assistant. Read on to learn more about the background, experience and passion of our lead instructors. Troy is an assistant professor of geography at Mount Royal University in Calgary, Alberta. He has taught numerous courses on environmental geography. His research interests involve natural resource conflicts, conservation and the role of wildlife corridors in mitigating the impacts of climate change and human habitat alteration. Troy has lived and worked in the Canadian Rockies since 2005 and taught our Banff Program since 2013. Geoff is a tropical biologist whose scientific research interests lie in the ecology and evolution of butterflies. In particular, he is interested in the clearwing butterflies, a group whose biology is fascinating, and which serves as a model for diverse studies in ecology and evolution in the tropics. He is also active in applied conservation research, and is currently leading a project to explore the threat posed by road construction to biodiversity conservation in the Amazon rainforest of Peru. His research has taken him throughout Guatemala, Costa Rica, Panama, Ecuador, Peru, Bolivia, Brazil, Malawi, Zambia and Malaysia. Geoff has been teaching with Wildlands Studies since 2012 and currently leads our Peru and Ecuador programs. Daniel is an anthropologist and naturalist with over fifteen years of experience working on conservation and environmental education projects in diverse international and U.S. locations. His research interests lie in ornithology and sustainable resource management of protected areas and wilderness. He has conducted research on the Polylepis forests of the Andes mountains and worked on conservation and education projects in Bolivia. Daniel has been teaching with Wildlands Studies since 2009 and has taught in Chile, Bolivia, Argentina, New Zealand and Alaska. He currently leads our Chile Program. Thanit is a cultural ecologist whose research interests include conservation and sustainability. She consults for Payap University in Chiang Mai, Thailand, and has worked throughout Southeast Asia with research organizations to develop effective survey methods and indigenous communities to design culturally appropriate teaching materials. Thanit has been teaching with Wildlands Studies since 1998 and has taught in Thailand, China, Laos, Cambodia, and Malaysia. Thanit currently teaches our Thailand Program. Terry is a coastal scientist and tropical paleoenvironmentalist, interested in the effect of climate change, especially as it affects the relationship between human society and the natural environment. His undergraduate thesis looked at the effects of hurricanes on ancient Maya agriculture, while his dissertation focused on changes in the frequency of hurricane landfall in the western Caribbean. Before returning to the United States for his education Terry spent 20 years pioneering a small farm in central Belize. He was a founding member of Five Blues Lake National Park, a community managed Park near his home in Belize, and served as Secretary of the Steering Committee for a large UN-funded project aimed at developing community co-management of protected areas throughout the country. Terry has conducted research throughout North and Central America and the Caribbean, from Quebec through Barbados, and will lead our Belize Program starting Summer 2019. Joe is a behavioral ecologist with research interests in sociality, cooperation, conflict, and animal societies. He has directed the bulk of his training and scientific curiosity on insects, especially ants, but has broad taxonomic interests, having conducted field research on creatures as diverse as birds, mammals, fish, and snails. His graduate work examined the intercolonial intraspecific interactions of socially parasitic ants (Polyergus mexicanus) that rely on kidnapped worker ants from their host species to keep their colonies running. He is awed by both the biodiversity and behavioral diversity of insects and their societies, and does everything he can to transmit entomology fever to any student that he meets. Joe has participated in many field-based research courses that have taken him to California, Arizona, Panama, Costa Rica, and Tanzania. Joe first taught for Wildlands Studies in the 2014 Argentina course. He will teach in the 2019 Spring Australia course and lead the 2020 Chile course. Chris is a wildlife biologist and educator. His master's research in Kenya focused on how shade and sun coffee can be used to promote bird diversity and ecosystem services. Over the last ten years, Chris has had the opportunity to work around the world with everything from baboons in Namibia and saker falcons in Mongolia to wolves in Idaho and tropical birds in the Peruvian Amazon. Chris has taught for environmental field courses for several years, and enjoys opening students' eyes to the wildlife around them and teaching how to study and interact with these amazing organisms. Chris leads our Australia Program. Alejandra is a veterinarian and marine mammal researcher from Costa Rica. She is currently completing her doctoral research in South Africa on the Indo-Pacific bottlenose dolphin as an indicator species for marine protected area effectiveness. Alejandra established our Australia and South Africa programs in 2012 and currently teaches the New Zealand and South Africa Programs. Veronica is a carnivore biologist whose research interests lie in mountain lion ecology. She has worked on a number of field projects, from the Australian outback to cloud forests of Costa Rica, and from studying marmots at the Rocky Mountain Biological Lab to tracking wolves in Yellowstone and Arizona. 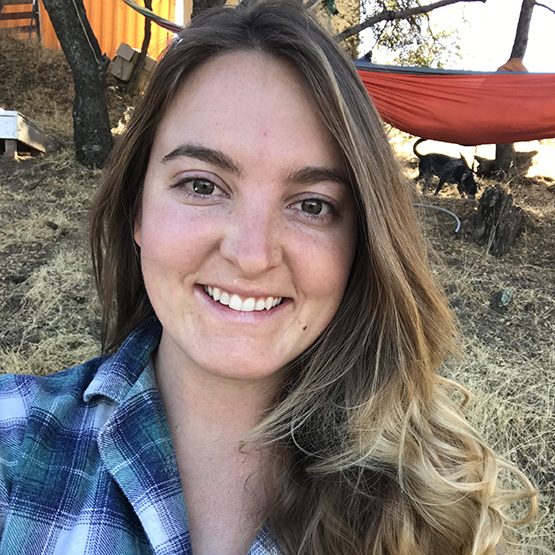 Her PhD research focused on examining mountain lions and the structure of their communities of the Santa Cruz Mountains of California. Veronica has led the Yellowstone Program since 2012. Matt is a conservation ecologist with experience in facilitating action research approaches for collaborative landscape restoration and stewardship in South Africa and Australia. His research interests lie in coastal-marine ecosystems, naturalist mentoring and community-focused outreach. Matt’s PhD research drew on integral ecology, psychology and education to explore how meaningful nature experience supports transformative learning for sustainability. Matt led programs for almost a decade for Wildlands Studies, establishing our programs in Australia, Tasmania, and South Africa. is the director of Wildlands Studies. An alumnus of both the Hawaii Project in 1988 and the Baja Mexico Project in 1990, Leslie remained active and engaged with Wildlands Studies until she took over leadership in 2008. Leslie has focused on increasing the project offerings of Wildlands Studies, formalizing our safety and risk management practices, enhancing the academic course offering, and improving our external communication (our website continues to expand with new information and we are very active on Facebook!). Prior to taking over Wildlands Studies, Leslie spent thirteen years working in various senior administrative positions in higher education, helping start three new universities, including California State University Monterey Bay, and Zayad University in Dubai and Abu Dhabi in the United Arab Emirates. Leslie’s interests lie in experiential and environmental education with a keen focus on the outdoors as a medium for personal empowerment. After living abroad and traveling to more than forty countries, Leslie believes that travel, time spent in new cultures, and exposure to fascinating ecosystems can’t help but teach new perspective, increase awareness and improve confidence—all skills needed for environmental stewards of the twenty-first century. Leslie is now joined by her daughter Violet, who although still very young, has the makings of a wonderful outdoorswoman. is our office coordinator and manages many of our day-to-day interactions with students, parents and advisors. Prior to joining Wildlands Studies in 2012, Sylvia worked for twenty-five years at the University of California, Santa Cruz, where she managed the Language Department and the Language Quarter Abroad. She has traveled extensively, and is an avid hiker and mushroom hunter. Sylvia loves to discuss the diverse locations of our projects with students, and help them prepare for a life-changing, academically dynamic, invigorating field based learning experience. is our campus visit coordinator. She began her life as an army brat and lived in Europe and many parts of the U.S. before settling in Monterey, California. Laura spent more than twenty years working in a wide variety of office situations, mostly public service, and supplemented her love of the outdoors by serving as a docent at the Monterey Bay Aquarium, where she expanded her knowledge of marine biology. You can ask Laura just about anything about marine life in the Monterey Bay! Laura came to Wildlands Studies in 2010 to help us grow our campus relationships and now serves as the primary point of contact for faculty and campus advisors when planning our campus visits. Laura values the unique outdoor opportunities offered by Wildlands Studies and believes that our enthusiastic students are the future leaders who will help solve the myriad of environmental problems that threaten the health of our planet. is our Field Studies Advisor and was part of our New Zealand program in 2013. Allison holds a BS from Northern Arizona University in Environmental Studies with an emphasis in Climate Change and Globalization. Having worked as an air quality consultant, Allison has a serious interest in the need to improve visible emissions monitoring techniques. More recently, Allison has shifted her focus to teaching environmental stewardship and inspiring people to protect the flora and fauna they love. Allison credits her career motivation and success to the meaningful experience she encountered on the New Zealand program. Allison believes the programs offered by Wildlands Studies can expand ones’ understanding of the natural world, as well as unlock new opportunities to working in and improving the environment. is our Field Studies Advisor and participated in the Australia program in 2015 as a freshman. He grew up in rural Humboldt County and has been backpacking since he was five years old. A graduate of UC Santa Barbara with a BS in Environmental Studies, Tristen chaired the environmental group Coastal Fund which allocated over $330,000 a year towards projects that preserve, protect and enhance the Santa Barbara coastal environment. He plans on attending graduate school in the future to pursue a career in water resource management. Tristen believes that Wildlands Studies was the defining moment of his university experience and set him on the path to a successful college career. His desire to get involved with Wildlands was fueled by the wish to share his experience with other students.